Glass provides a more contemporary, stylish feel to any kitchen. Careful use of glass not only improves the natural light, but gives this important family room a more airy, open atmosphere. 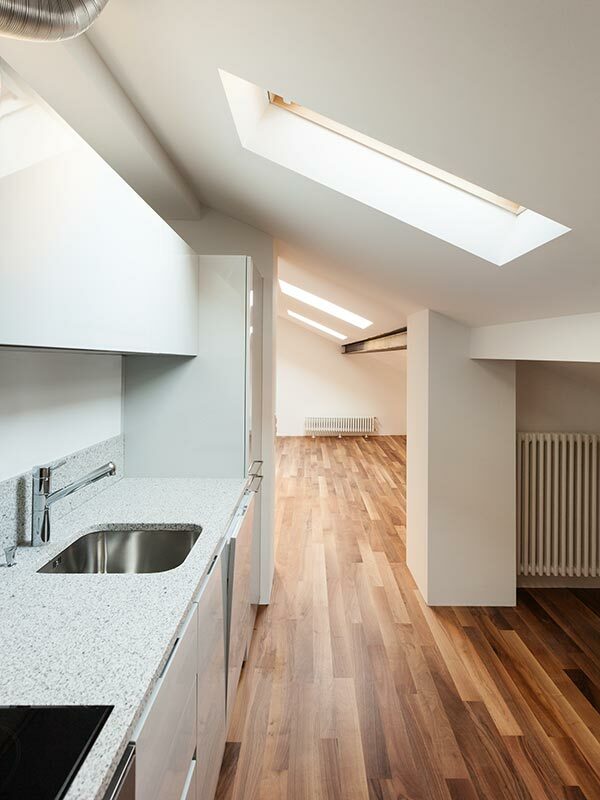 Glass can also help ensure your kitchen is a hygienic space, when used as splashbacks, cupboard doors and even bench tops. 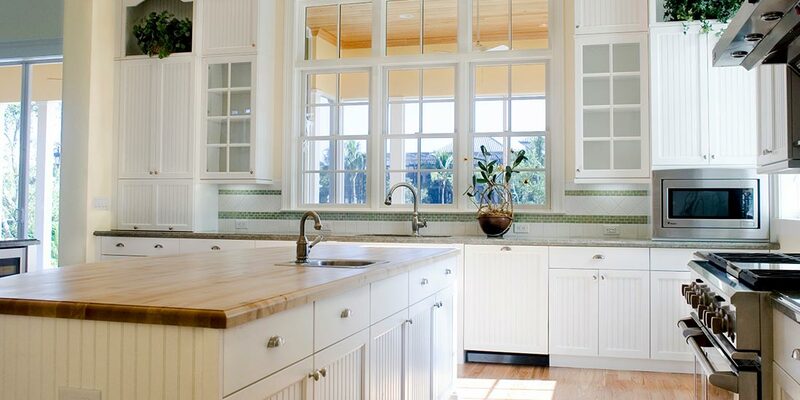 Glass is easier to wipe down for a cleaner, brighter, more liveable kitchen. 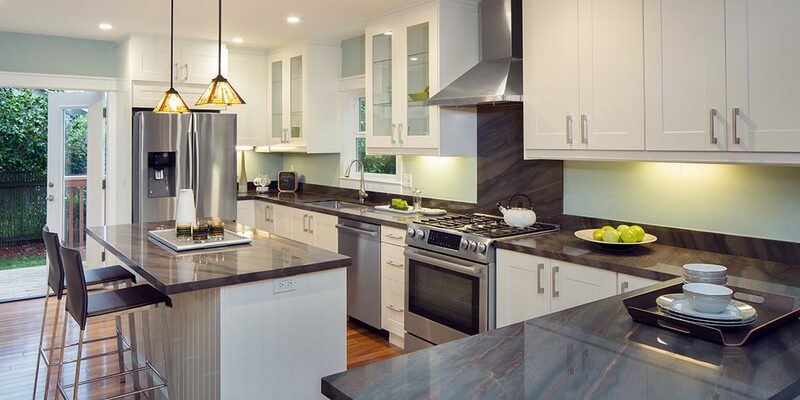 So if you’re planning a kitchen refurbishment here are some great kitchen design ideas to get you started. Did you know? 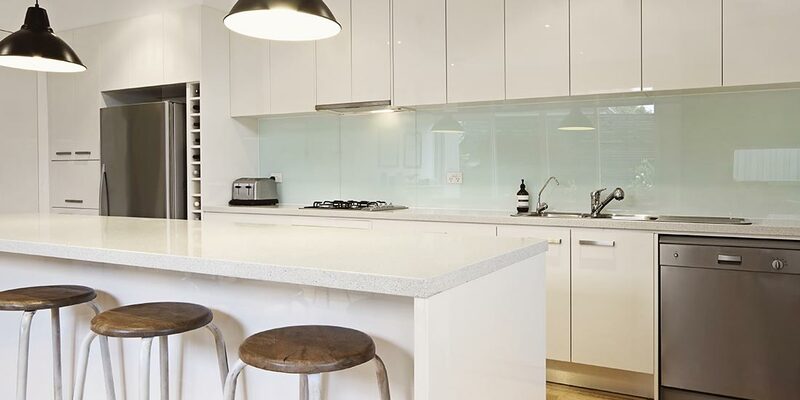 When designing your kitchen, it is easier to choose the bench top first as the glass splashback can be easier to match. Choose glass for your sink splashback, easier to clean than regular tiles. Back lit opaque glass in cupboard doors, can provide an extra source of light and give your kitchen the ultimate contemporary feel. 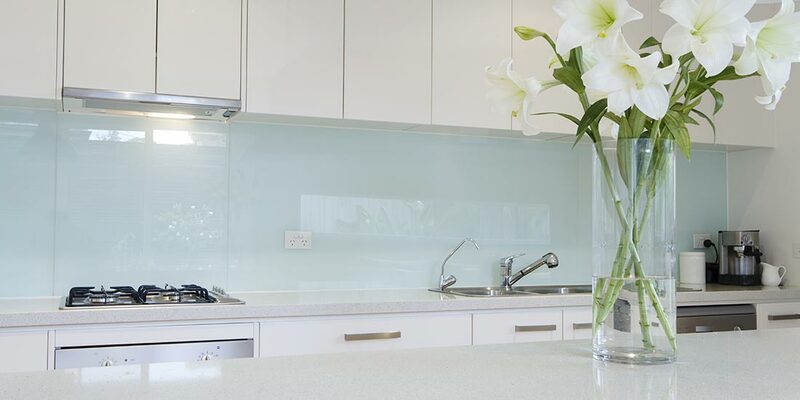 Introduce a splash of bright colour to your kitchen by using our decorative glass for your splash back. Thick, toughened glass makes for an unusual and stylish bench top that’s super easy to keep clean. 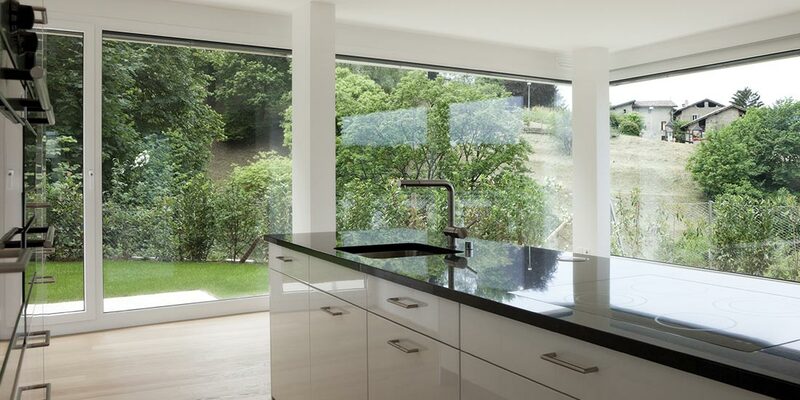 Ensure your kitchen glass is installed by an experienced glazier and is AS1288 compliant. Show off your best glasses and crockery by using glass in your kitchen cupboard doors. Use contrasting colours for your splashback and bench top to create a truly unique look. Use our simple online form to request a booking. Our team will call you to confirm a convenient date and time. We’ll fix your glass and help handle your claim if you’re insured.